You are here: Home » London Bridge is . . . in Arizona? London Bridge is . . . in Arizona? 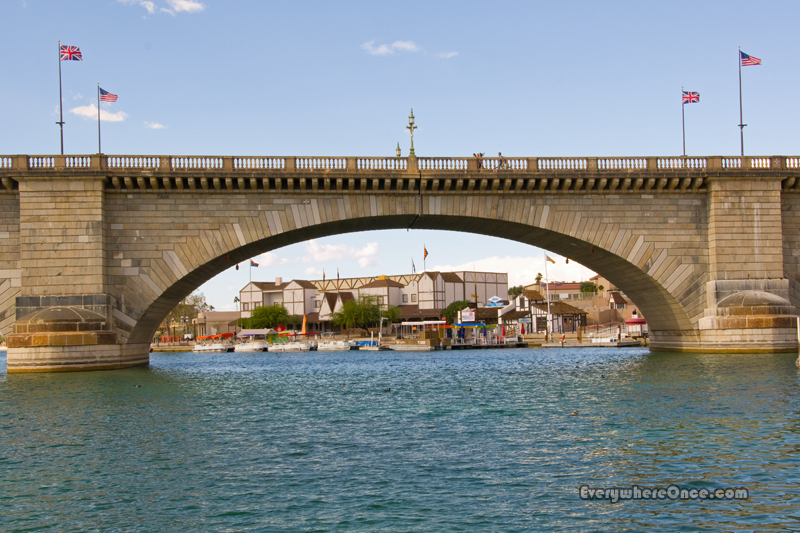 Contrary to the wisdom of school children everywhere, London Bridge didn’t fall down. It was disassembled in 1967, shipped to the U.S. and reassembled in Arizona. 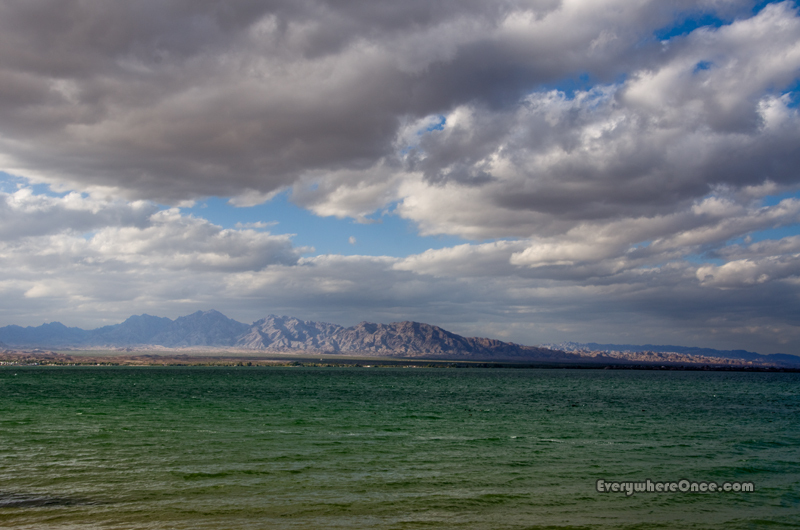 Robert McCulloch undertook the unorthodox project to draw attention and tourist dollars to the new planned community he envisioned along the banks of Lake Havasu. 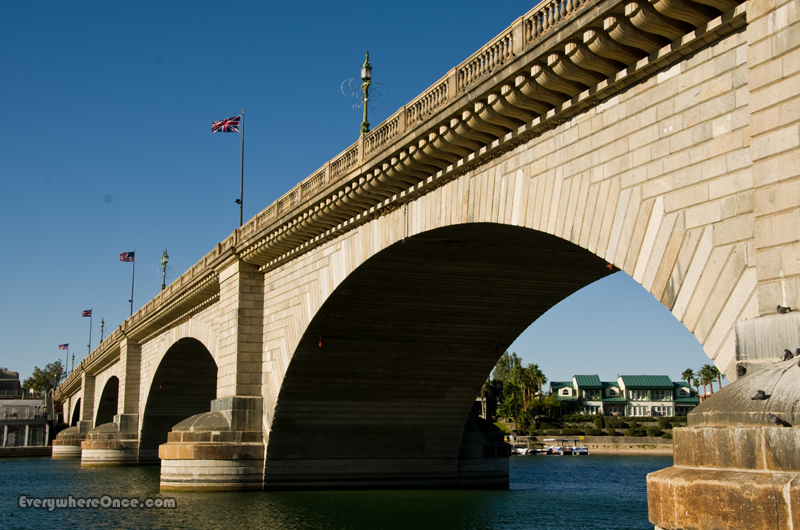 Forty five years later, Lake Havasu City boasts a permanent population of 52,000 with many times that number arriving annually to enjoy the lake’s water sports, natural beauty, and of course, Mr. McCulloch’s London Bridge. So that’s what it looks like! I had no idea this wonderful old bridge is here! Did some quick research on how it was brought here – amazing! Fitting really, since many Americans are of European decent. I always wonder what the people of London think about the situation. They have many, many bridges, but maybe it will become the subject of controversy years in the future…much like the Elgin Marbles, today. They’re probably just happy that someone bought something they planned to replace anyway. After all, it’s just one of the many bridges to have spanned that location going back to Roman rule. Haven’t seen it in awhile so glad to see it is still standing. In the UK, it’s generally understood that when this bridge was being dismantled in the 1960s (it had simply become too small to cope with the volume of traffic and was being replaced), it was mistakenly purchased by a wealthy American who thought that it was the iconic TOWER BRIDGE (http://www.towerbridge.org.uk/TBE/EN/). The ‘myth’ goes on to suggest that it wasn’t until it was being rebuilt in Arizona that the mistake was discovered. I wonder…? !